Readers of Gunblast know that we like accurate rifles. Rifles that are not accurate just do not interest me. Accuracy has differing parameters depending upon the intended use for the rifle in question. 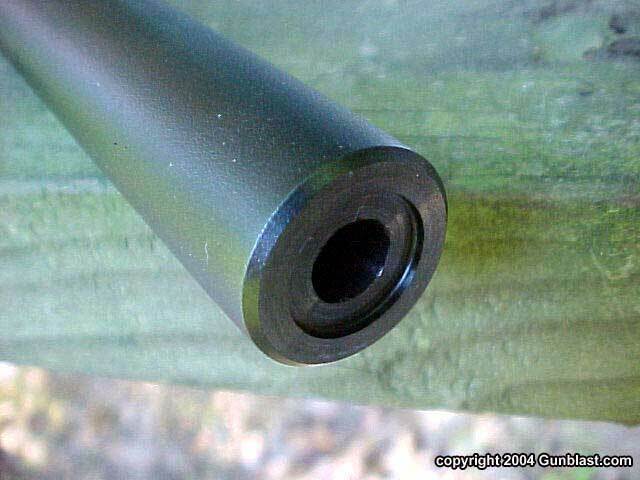 A Hawken style muzzleloader intended for close range deer hunting is plenty accurate if it can keep its shots within a six inch circle at fifty yards, but is much more interesting if it can cut those groups in half. On the other hand, a .22-250 varmint gun needs to be capable of grouping its shots within an inch at one hundred yards, and I greatly prefer a rifle that can group within an inch at three hundred yards. Accuracy, like most things, is relative to the need at hand. Law Enforcement, military, and specialized civilian "contractors" sometimes have the need to precisely place bullets onto a target at varying distances. 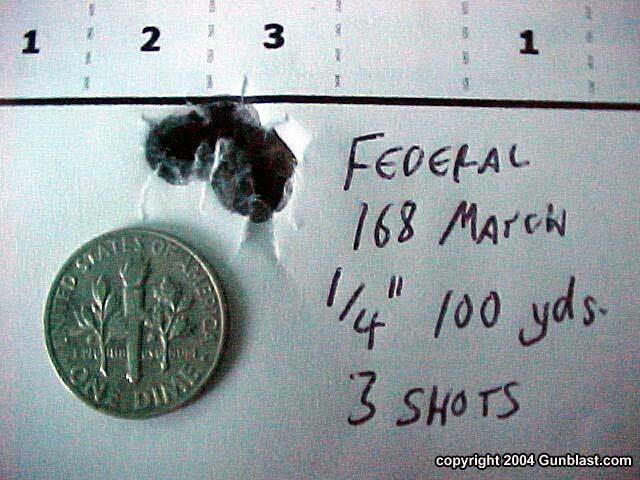 This type of precision shooting is akin to the needs of a big game hunter, except that the situation is usually much more critical, and the outcome extremely grave. Precision shooting in these situations usually calls for an accurate combination of rifle, ammo, and shooter. Many government agencies and contractors working for these agencies in foreign countries spend thousands of dollars to acquire the best precision equipment available. It is not unusual for some large SWAT units to spend three thousand dollars on a rifle, in addition to the scope and mounts. For that amount of money, there are some fine semi-custom rifles available that are very reliable, and exceedingly accurate. These rifles are usually based on a stock hunting rifle design that has been accurized and tweaked a bit by a custom gunsmith. The rifles are bedded into a synthetic stock, given a dull black finish and a better trigger, and shipped in a nice hard case. These are usually very good, precise, and accurate rifles, and are well worth the thousands of dollars spent. However, for a fraction of the price, you can just buy a new Savage .308 Law Enforcement series rifle, and get the same excellent accuracy and reliability, along with a better trigger. Let the nasty emails begin! Before you start sending me the hate mail detailing the reasons as to why your rifle is a better tactical precision shooter, and questioning my limited intelligence, allow me to explain. I do not base my reasoning upon the testing of just one rifle, or even just upon my experience alone. It is a known fact among precision riflemen that the Savage design shoots very well. 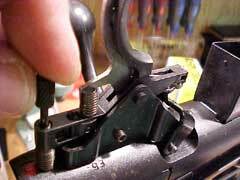 Some features that help expedite the manufacture of the weapon also contribute to its accuracy. Free-floating a barrel is quicker and easier, thus cheaper, than to precisely bed the barrel in the stock. It is also more accurate over the long haul. Savage’s multi-piece bolt allows for easier manufacture, but also contributes to accuracy by allowing the bolt head to bear evenly on both sides without custom lapping that is needed with other designs. These features allow the gun to fire more consistently every time, thus contributing to accuracy. The LE series Savage rifles are also pillar bedded into the synthetic stock, eliminating variations of pressure and flexing of the action. 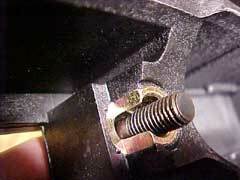 The heavy barrels are button rifled, and finished in a recessed target crown. 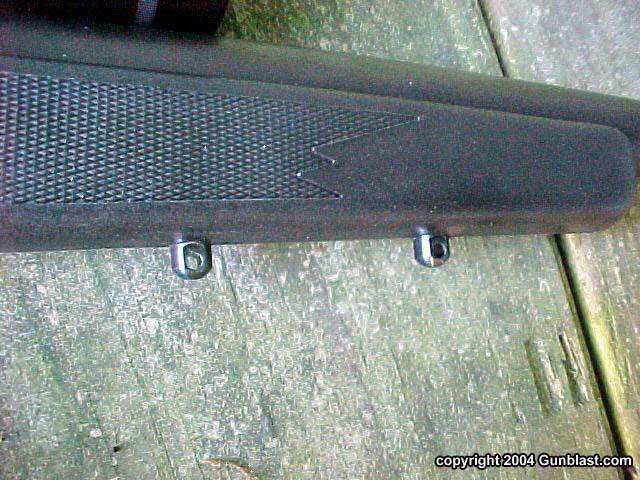 Other nice features of these rifles include a rubber recoil pad for non-slip shoulder contact, and an extra swivel stud on the fore end to accommodate a detachable bipod. Another nice touch is the oversized bolt knob, for quick manipulation of the action under stress, or while wearing heavy gloves. All of these features contribute to the accuracy and usability of the rifle, but one of the finest features of the Savage is that excellent trigger. 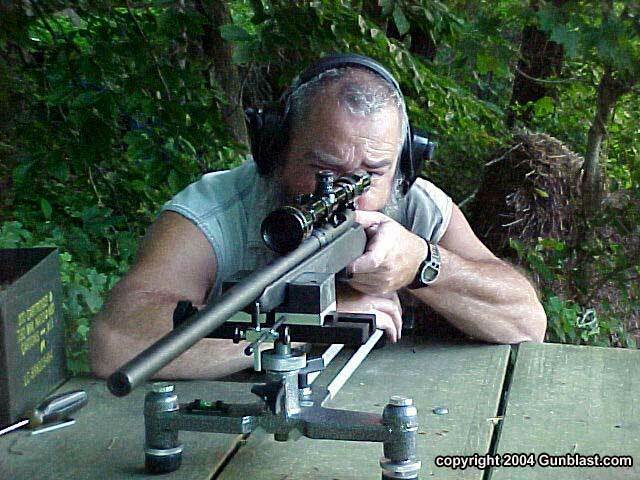 In December of 2002, I was introduced to Savage’s then new AccuTrigger, and reported on it in detail in an article at the end of that month. Since that first experience with the new trigger, I have tested several Savage rifles with the AccuTrigger, and I make the unqualified statement that it is the best production rifle trigger available on any centerfire rifle of which I am aware. It is that good. 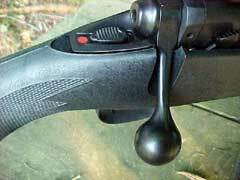 A rifle can have the best barrel precisely bedded into the finest hand-laid Kevlar stock, and if the trigger pull is heavy, it will never shoot to its potential. The trigger on a precision rifle needs to be light, crisp, and predictable. The AccuTrigger is all three of these, and is user adjustable for weight of pull between one and one-half and six pounds. It allows the shooter to take full advantage of the accuracy built into the rifle, and to easily adjust the weight of pull to fit the situation. The .308 Model 10FP-LE2 tested for this article is representative of the several variations in the Savage Law Enforcement lineup. Other stock designs are offered, but this rifle has the standard synthetic stock, and weighs in a bit lighter than the other variations at eight and three-quarters pounds. It has a heavy twenty-six inch barrel. 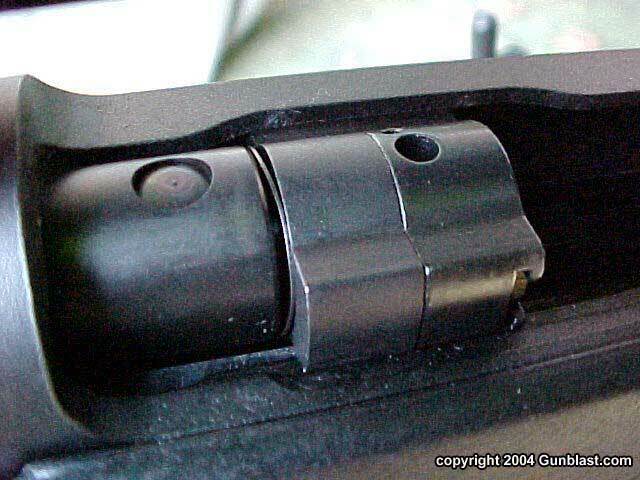 It has no open sights, but is drilled for scope bases. I really like the safety position on the Savage. 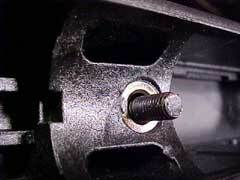 It is centered behind the bolt, and is easily manipulated with the thumb. 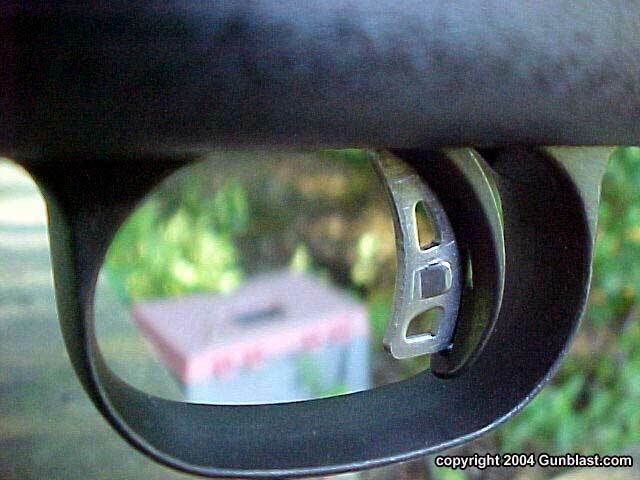 The finish on the metal is a dull black, and the trigger guard is made of steel for durability. The action is bedded into the stock at two points with hardened bolts and pillars, and the barrel is generously free-floated its entire length. The bolt body is also finished in a dull black, with the Savage Indian Chief logo etched into the side that is exposed when the bolt is fully closed. 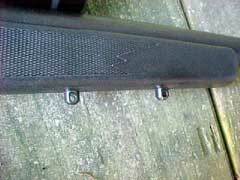 The rifle has a four round internal box magazine. For accuracy testing, I mounted a Burris six to eighteen power scope using B-Square rings and two number 46 Weaver bases. After bore sighting the rifle and shooting two rounds of Lake City military ball ammo to get the gun on paper, I loaded the rifle with three rounds of Federal 168 grain Match ammo. 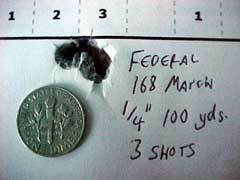 All three rounds went into a group measuring just one quarter of an inch, at 100 yards. I had expected good accuracy from the Savage, but shooting such a small group without any barrel break-in is exhibitive of superb accuracy. Further testing proved the rifle to be consistently accurate with any good ammunition tested. Whether or not this level of accuracy is needed in a .308 built for tense social situations can be argued either way. However, it is nice to know that target-grade accuracy is there if needed for that long range shot that might mean life or death. The Savage 10FP-LE2 delivers the inherent accuracy, reliability, and precision of rifles costing thousands of dollars more, in a rifle that currently lists for only $578. If you need several rifles to outfit a tactical shooting team for a government agency, or are just an individual wanting a precision rifle for target shooting or hunting, I highly recommend the Savage 10FP, in any of its variations. 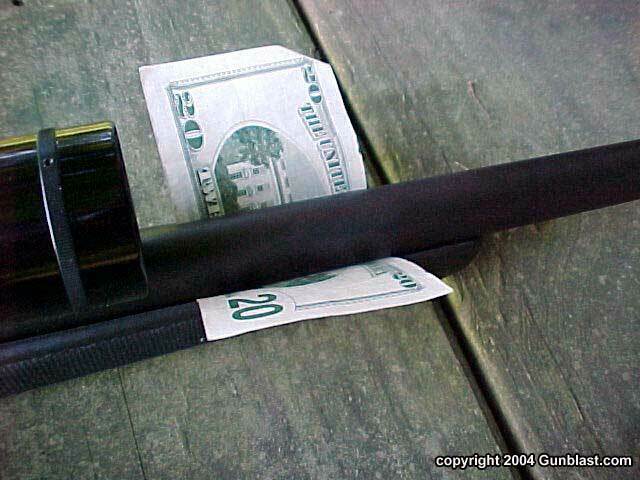 Spend the money you save on a quality scope and good ammunition. Spending more on the rifle will not buy you any more accuracy or reliability than that which comes standard on the Savage. 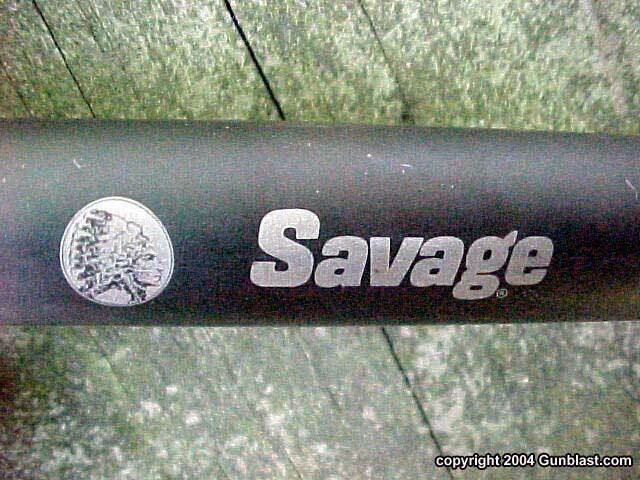 For more information on the entire Savage line, go to: www.savagearms.com. 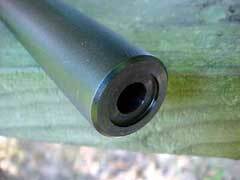 Savage's AccuTrigger is the best design available on any production rifle. The Savage 10FP-LE2 features a recessed-crown muzzle for increased accuracy. A nice touch is the factory-installed extra swivel stud for mounting a bipod. The Savage 10FP-LE2 features an enlarged bolt knob for ease of handling, and a sliding safety perfectly-located under the thumb of both right-handed and left-handed shooters such as Jeff. Barrel is free-floated along its entire length. The action is pillar-bedded into the synthetic stock. 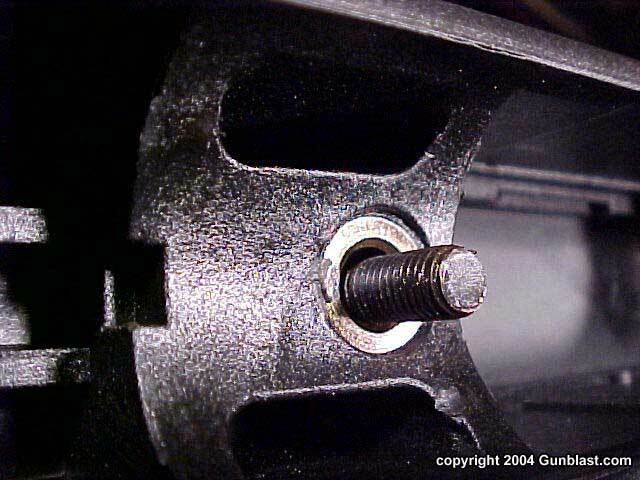 Savage's design allows the bolt head to bear evenly on each side for maximum accuracy. 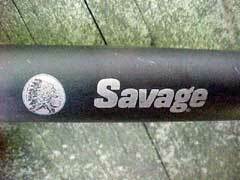 How accurate is the Savage 10FP-LE2? Try 1/4" 100-yard groups with quality factory ammo! This was the first test group Jeff fired, and subsequent testing proved it to be no fluke. It is no secret that Jeff is a fan of Savage rifles, and the Model 10FP-LE2 shows why: it shoots with custom rifles costing thousands of dollars, features a better trigger than most of those same custom rifles, and retails for under $600. What more could you want?